So how did the project start?? We took Renzo248's and Deco13's Italy Map as a base and are reworking and expanding it now. The map uses FLD's assets. 19.09.2018: version 0.9 is out! 21.10.2018: version 0.9.1 is out! Map requires the Scandinavia and Italy DLC and version 1.32 of the game! 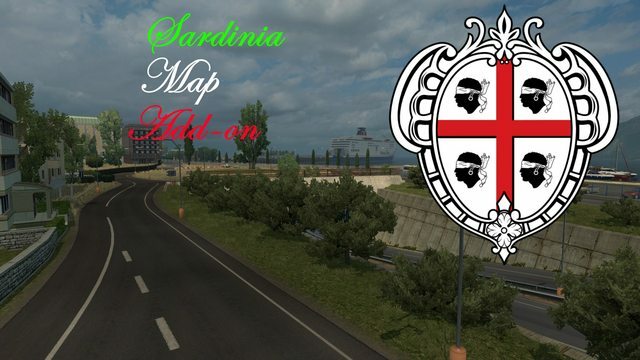 Should work with other maps, but the sectors of Marseille, Livorno and Genova will be overwritten by this. Should you run into any issues (bugs, game log messages, etc), you are encouraged to post here! Last edited by gmtavares on 21 Oct 2018 15:02, edited 5 times in total. Thats great news guys, keep up the good work! I only cannot find the correct load order. I use Promods 2.30, Rusmap 1.8.1., SRmap. Can you maybe advise the load order? You can load it under all other maps provided you have the Legacy fix. But keep in mind that it only works on 1.32. 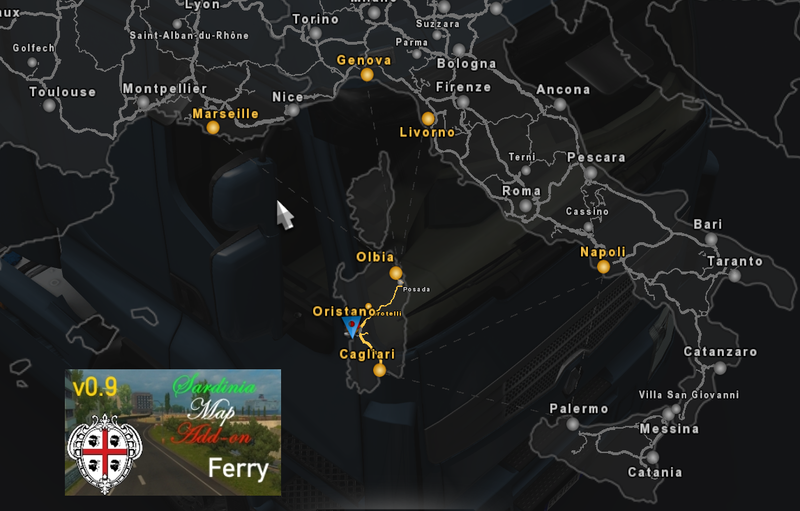 Will you improve later the SS 131 dcn, add an Olbia-Livorno ferry connection, the city of Sassari, two small towns (Alghero and Carbonia) and some small road connection to these last towns? Sardinia would be already totally complete with my suggestions! Aha.. Das ist warum es nicht geht und das Speil abstürzt. Aha. That's the reason why the game still crashes..
We firstly planned to bring it out for 1.31, but then the update came earlier as thought and - it's stupid to release a map for an old version.